Monsoon rains and frequent flooding over the last few months have battered the city's roads and the municipality claims there are now more than 15,000 potholes in the city's 14,000 km road network, which they have said can only be fixed once the rain stops. Radha Ajanappa was the third person to die in a week due to the city's damaged roads. Bengaluru: Karnataka Chief Minister Siddaramaiah has set a 10-day deadline for Bengaluru's municipal corporation to fix all the potholes in the capital, after a 47-year-old woman died on Sunday, the third death in a week due to the city's damaged roads. Officials say Bengaluru has more than 15,000 potholes. Radha Ajanappa, riding pillion on a scooter, was thrown under the wheels of a truck when her nephew, who was driving the two-wheeler, swerved to avoid a big pothole on the arterial Mysuru road on Sunday morning. 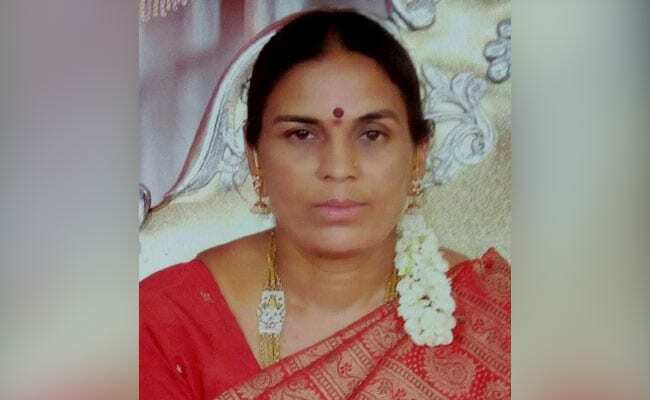 Both Ms Ajanappa and her nephew Ravi Kumar were wearing helmets, but the truck's front wheels ran over Ms Ajanappa's neck and she died instantly. The family blamed the state government for negligence. "They didn't stop vehicles where potholes were there. They didn't give diversions for the vehicles. This is negligence. This incident should be the last one, in future it should not happen to anyone else," said her son, Manjunath. Days before, Anthony Joseph, 55 and his Sagai Mary, 53, were killed when a Tamil Nadu road transport bus knocked down their two-wheeler. Mr Joseph, who was driving, too was trying to negotiate a pothole on a flyover when the bus hit their scooter. The Chief Minister and Bengaluru's Mayor Sampath Raj today visited the spot where Radha Ajanappa was killed on Sunday. "I have instructed the commissioner of the corporation to fill up the potholes in 10 days. All the potholes should be filled up or else we will investigate and take action against the people responsible," said Mr Siddaramaiah, whose party the Congress has warned him that Bengaluru's bad roads could cost it next year's assembly elections in the state. KC Venugopal, the Congress' central leader in charge of Karnataka, had discussed the condition of the roads with the chief minister and other ministers from the city on Friday last. Bengaluru has 28 of Karnataka's 224 assembly seats and Mr Venugopal reportedly sought details on frequent flooding and damage to roads and demanded immediate action, expressing concern about poor public opinion about the Congress government months before the elections. Civic authorities are also struggling to fix Bengaluru's giant foaming lakes that spew toxic froth at motorists every time it rains.